Seahawks Swim A Great Summer Season! 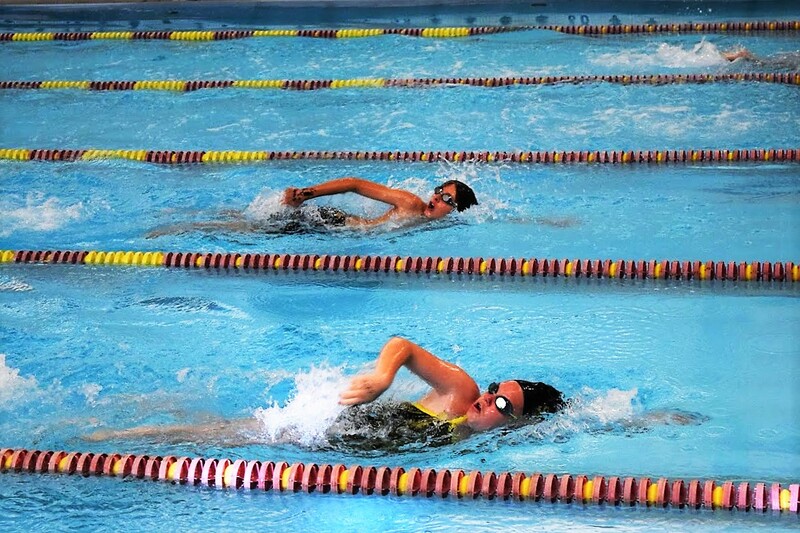 The SDMS Seahawks wrapped up an entire summer of swimming with the SDMS Championship Meet held on Monday (7/25). This season was a great one filled with broken team records and new personal best times. Season started with athletes writing down their season goals on cards at the Open House. It ended with almost 100% of those goals met! Six new team records were set! In fact, some records were broken more than once this season! We update the list at the end of season, with all the final times and names. The championship meet seeds all swimmers in the same age-group based on time. Boys and girls race for the same medals and ribbons and, of course, bragging rights. Below are a few highlights from the meet but we encourage you to check out the full results to see all the great swims. Paige McCollough’s 38.83 in the 11-12 50 Back time was 3 seconds faster than the Summer 2015 Championship Meet. We recently shared the SDMS Year-At-Glance spreadsheet which covers the last three seasons. It shows every meet, event and time for each swimmer during the listed time period. This is a great way to see the progress your swimmer(s) has made. This document will be housed in the Current Season tab online. Thank you to all our families for swimming with us for another season. It is a great privilege to work with you all and we look forward to the upcoming winter season! Also – thank you to all of our great coaches! Without all of the seasonal assistant coaches and stable year-round coaches, the SDMS programs wouldn’t be as successful. The SDMS staff works hard to provide our families with detailed stroke improvements/corrections along with a tailored, pre-planned workout schedule to help your athletes be at their best.